An additional source of magnesium and vitamin B6, promotes normalization of central nervous system functioning, improvement of metabolism during physical and mental loads, has mild calming effect. Magnesium lactate – 100.0 mg, vitamin B6 – 0.22 mg, excipients. Magnesium is contained in all the tissues of the body and is necessary for normal functioning of the cells; it participates in metabolism. Magnesium plays a major physiological part in neural impulses transmission and muscles contractility. Magnesium deficiency is observed in case of diet infringement or in case of increased physical and mental loads, stresses, by reason of which the body requires increased magnesium amount. Vitamin B6 (pyridoxine) actively participates in nervous system functioning, amino acids metabolism and their transport through the cell membrane. 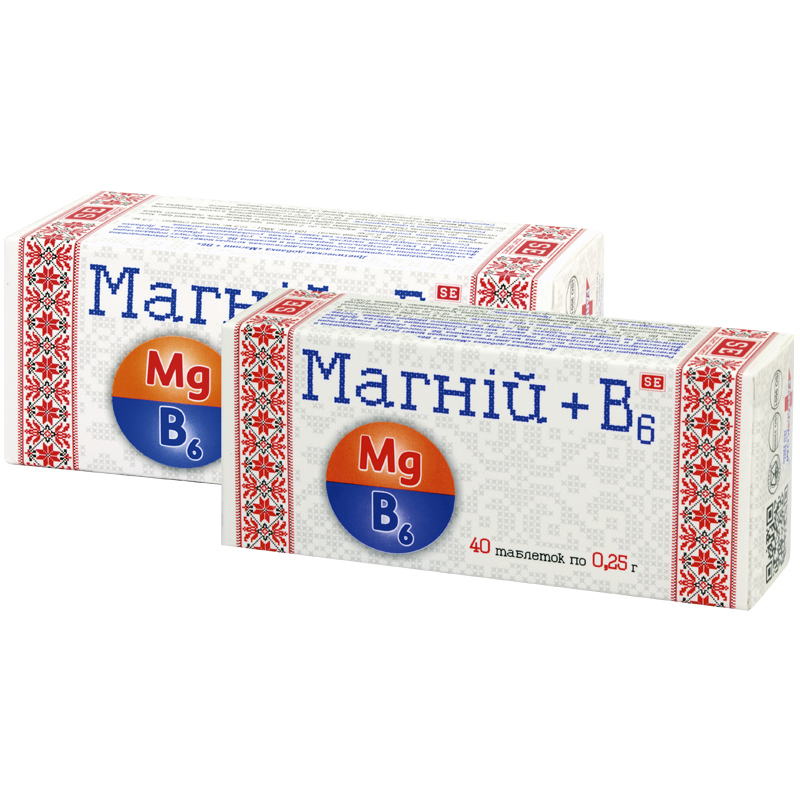 Vitamin B6 improves magnesium absorption from the gastrointestinal tract and its permeation to the cells. It has positive effect on physical and psycho-emotional state of the body, the cardiovascular system and the brain. Adults take 2 tablets thrice a day with food. Term of use – up to 1 month, further is the term of use and the possibility of repeated use are to be agreed with a doctor. Proteins – 0 g, carbohydrates – 31.25 g, fats – 0.625 g.